A Review of Charles Farley, Soul of the Man: Bobby “Blue” Bland. 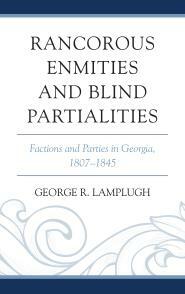 Jackson: University Press of Mississippi, 2011. 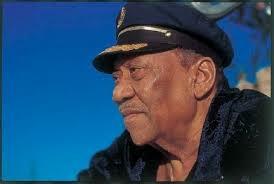 According to Farley, Bobby Bland was born Robert Calvin Brooks on January 27, 1930, in Rosemark, Tennessee, to I.J. and Mary Lee Brooks, but an obituary published in The New York Times in June of this year insists that his birthplace was nearby Millington. After I.J. Brooks deserted the family, Mary Lee married Leroy Bridgeforth, Jr., who also went by the name of Bland. Bobby admired his stepfather and eventually changed his last name to Bland to show that. Raised in an agricultural area, young Bobby grew up surrounded by music: gospel in church, blues in the community, country music on the radio; and he early demonstrated a talent for singing. Bland later said that, while he wasn’t allowed to sing the Blues (“the Devil’s music”) around adults, he could do so in the cotton fields. When he was a teenager, Bobby moved to Memphis with his mother, who hoped both to escape the harsh Jim Crow system of her rural home and provide her son with a better chance to pursue the music he loved. Young Bobby’s education in rural Tennessee had been so sporadic that he did not learn to read or write. He abandoned school once he arrived in the big city and worked delivering groceries, parking cars, and transporting laborers from Memphis to the Delta cotton fields, while his mother ran a soul food restaurant. Bland strove to excel in music, but he started at the bottom, driving local performers like B.B. King, Rosco Gordon, and Junior Parker to gigs out of town. Mr. Bland’s recording career began in the early 1950s, but was interrupted by military service. The Memphis label that had signed Bland, Duke Records, had been sold to Peacock Records and moved to Houston by the time he was released from the army in 1955. Assigned by his Duke bosses to the “Junior Parker Revue,” Bland found himself on an endless tour of the “chitlin’ circuit.” Attempting to develop a singing style of his own, Bland abandoned his falsetto and adopted a growl (or “squall,” as he termed it) that he had picked up from listening to The Rev. C.L. Franklin, father of Soul goddess Aretha Franklin. While developing his chops as a blues singer, though, Bland continued to admire balladeers like Andy Williams and Perry Como. The brutal touring schedule of Bobby Bland and his band took a toll on all of them. Over his career, Bland was married three times and struggled with alcohol addiction, which in turn wreaked havoc on his personal relationships, including with some members of his band. His bosses at Duke/Peacock pressed him to “cross over,” and develop songs that would appeal to broader audiences, whether R&B (which would appeal to blacks and some whites) or “folk blues” (which would draw young, affluent whites). Bland tried to do as he was asked, but with minimal success; despite the urging of his bosses and his own efforts, his audience remained largely black and fairly traditional. ABC bought the Duke/Peacock label in 1973, and MCA purchased ABC Records in 1979. In 1984, MCA released Bland from his contract, and the following year he signed with a new label, Malaco Records in Jackson, Mississippi, where he would remain for the rest of his career, this time as an unapologetic Blues singer. Bobby “Blue” Bland disappears periodically in this biography, as Farley meanders through discussions of Jim Crow in Memphis and Houston; changes in the personnel of Bland’s studio and touring bands; and detailed treatments of each Bland album. Unfortunately, there are so many mini-biographies of those associated with Mr. Bland that some readers will probably be confused. Only a handful of the individuals sketched by author Charles Farley actually played significant roles in shaping Mr. Bland’s career: Don Robey, the controversial owner of the Duke/Peacock label in Houston; Evelyn Thompson, who ran Robey’s company day-to-day and became a sort of mother figure to the artists; Joe Scott, the arranger and band leader who helped create the “Bobby Blue Bland sound”; Dave Clark, the dedicated promotions director at Duke/Peacock; and Wayne Bennett, Bland’s longtime lead guitarist. In effect, though Charles Farley titles his work “Soul of the Man,” he really doesn’t plumb Mr. Bland’s “soul.” Apparently, Mr. Bland did not cooperate with Farley on the biography, for reasons left unexplained. A better title might have been “The Life and Times of Bobby ‘Blue’ Bland,” for the reader learns as much about the popular music business during Bland’s lifetime as about the singer himself, and this is no small achievement. For instance, Farley pauses periodically to explain the cultural significance of Billboard magazine’s changing categories for best-selling songs by black artists: from “Race Records” to “Harlem Hit Parade”; from “Hot Rhythm & Blues Singles” to “Best Selling Soul Singles”; from “Hot Soul Singles” to “Hot Black Singles”; and from “Black Albums” to “Top R&B/Hip-Hop Albums.” I found these digressions more interesting than many of Farley’s mini-biographies of members of Bland’s band. A clear picture of Bobby “Blue” Bland really doesn’t emerge in this work, but this might not be the author’s fault. Mr. Bland seemed content to sing “his music” to “his people”; efforts by his various labels to get him to try different musical styles in order to attract a wider audience almost invariably failed. Bland also comes across as a rather complacent performer. He “never became directly involved in the civil rights movement or any other form of politics,” for example. (136) Both of the labels with which he was associated longest, Duke/Peacock and Malaco, “took care of” Mr. Bland. According to Farley, Bland’s situation with Malaco Records replicated what he had experienced at Duke/Peacock: “Bobby had somehow arranged it so that all he had to do was be charming and sing–two things that by now he was a master of.” (207-208) Bland’s third wife, Willie Mae Martin, became his de facto manager and provided an additional element of stability for his career. Yet, the “family atmosphere” he seemed to crave did not protect Bland from the perils of life in the real world: Mr. Bland was plagued throughout his career by tax disputes with the Internal Revenue Service, and Farley does not make clear whether the fault lay with Mr. Bland himself or with his managers. Frankly, all of this probably would have gone over Bobby “Blue” Bland’s head. He was a talented singer with a killer voice who knew what he wanted to sing–and to whom. His bosses did not always agree with him, but Bland stubbornly persisted in trying to reach his target audience. Yet, he did change over the years, moving back and forth from Blues to Rhythm & Blues, from Rhythm & Blues to Soul (and even a brief, ill-advised detour into Disco), and, finally, during the Malaco years, back to the Blues. If you had asked Mr. Bland to comment on his career, he probably would have replied that he sang his music to his people over five decades, and he did not care what anyone called it. In sum, although Charles Farley set out to write about the “Soul” of Bobby “Blue” Bland, he never really delved that deeply, perhaps for reasons beyond his control. He has, on the whole, nevertheless produced an engaging biography of Mr. Bland and his times, even if the man himself is frequently missing. Bland, Bobby. Two Steps from the Blues. MCA [Duke/Peacock] 088 112 516-2 (2001). Bland’s first Duke album, considered a classic. 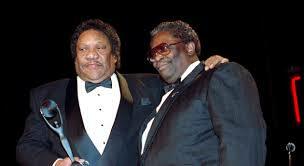 King, B.B., and Bobby Bland. B.B. King and Bobby Bland Together for the First Time . . . Live. MCA Records MCAD-4160, 1974. A terrific live album, in my view, though Farley disagrees. Bland, Bobby “Blue.” The Anthology. MCA [Duke/Peacock] 088 112 596-2 (2001). Bland’s early hits. Bland, Bobby “Blue.” Memphis Monday Morning. Malaco MCD 7495 (1998). A fine example of Bland’s late, Blues-centric, recordings at Malaco Records, in Jackson, Mississippi. Friskics-Warren, Bill. “Bobby (Blue) Bland, Soul and Blues Balladeer, Dies at 83.” New York Times, June 24, 2013. 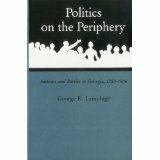 I retired in 2010 after nearly four decades of teaching History at the "prep school" level with a PhD. My new "job" was to finish the book manuscript I'd been working on, in summers only, since 1996. 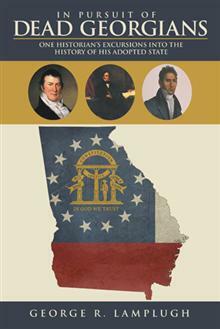 As things turned out, not only did I complete that book, but I also put together a collection of my essays--published and unpublished--on Georgia history. Both volumes were published in the summer of 2015. I continue to work on other writing projects, including a collection of essays on the Blues and, of course, my blog. This entry was posted in Age of Jim Crow, B.B. King, Bobby "Blue" Bland, Civil Rights Movement, Delta Blues, History, Research, Retirement, Southern History, The Blues, Uncategorized, Urban Blues and tagged American History and Culture, Bobby "Blue" Bland, Southern History, The Blues, Urban Blues, WP Longform. Bookmark the permalink. What a great voice. Too bad he didn’t cut a few more of the classics, but I nit pick. I know what you mean about the quality of some of his songs. As you suggest, in listening to the “Anthology” album recently (his Duke/Peacock “greatest hits”) I was struck once again by the power of that voice and how BBB could use it to make almost any song sound like a winner. Thanks, Vern. I’m glad you enjoyed the post about Bobby “Blue” Bland. He had a wonderful voice and recorded some terrific music! I saw him many times here in Toronto. This was no “good-looking” man but five minutes after he started singing, he had every woman in the place in the palm of his hand. I’ll always think of him as “The Best” . 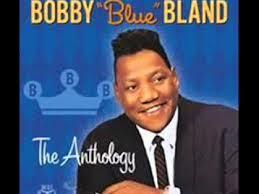 You’re not alone in thinking Bobby Blue Bland “The Best,” Vince! Thanks for the comment.